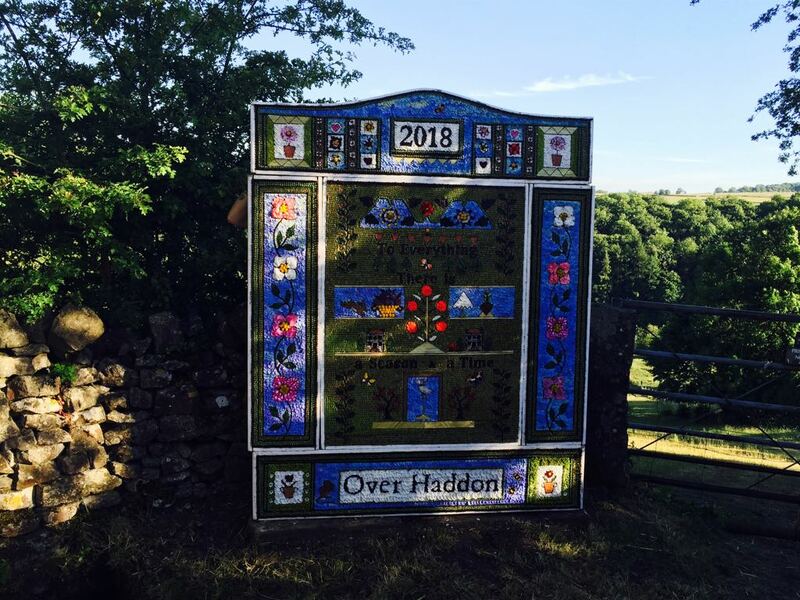 It was a busy June 2018 for Over Haddon, as the village prepared for its annual Well Dressings event. Making the dressings took place between June 16 and 22, which meant, during this time, two garages in Main Street became the centre of activity for our event. 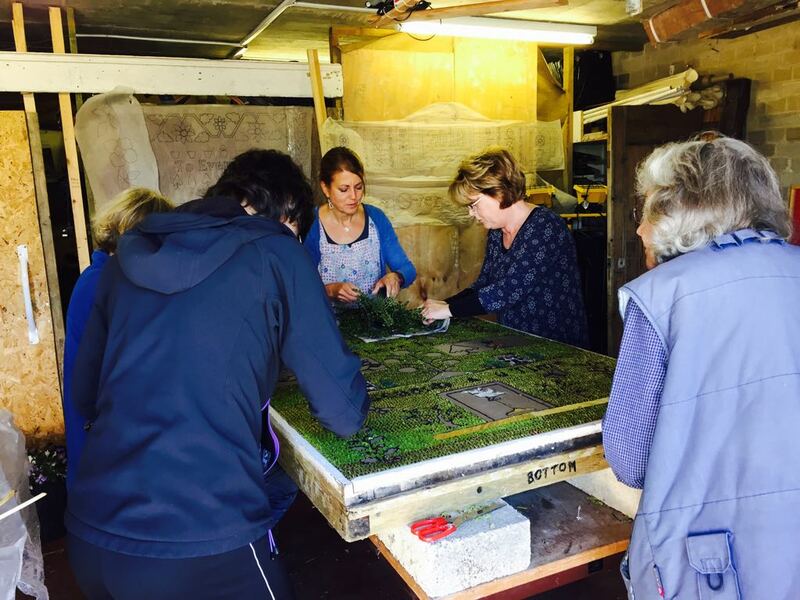 “For one week only”, ladies, men and children spent many hours huddled over the Well Dressing boards. 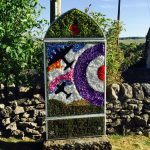 The junior dressing was designed by Patrick, with an RAF theme. The main boards were designed by Tricia. 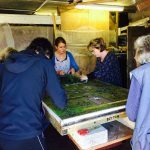 Visitors to the village were invited to stop and ask about the history of Well Dressings, inspect the designs, take lots of photos and even have a go at petalling! 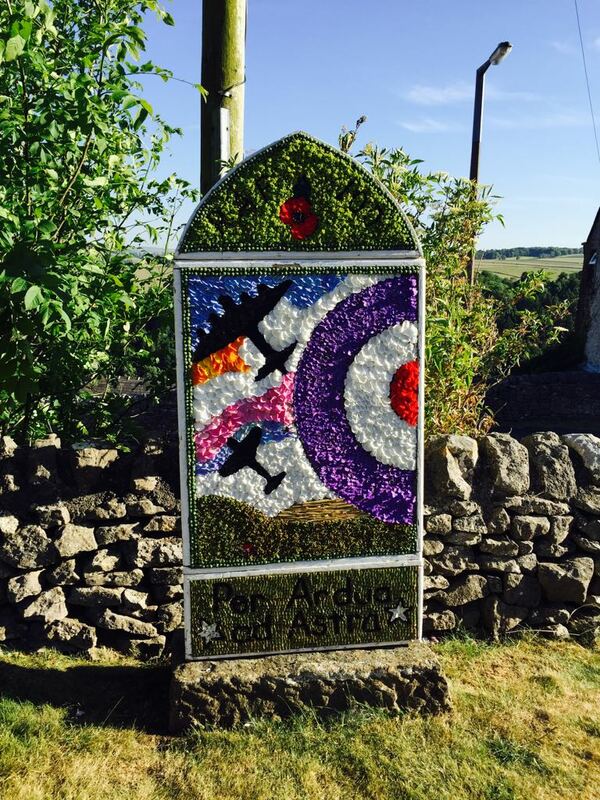 Donations could be made via the charity boxes available and monies collected from the boxes, sales of cards, books, plants, DVDs, teas and cakes over the Well Dressing week enables funds to be donated to several charities. 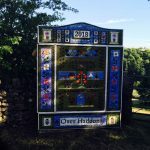 Once the creations were completed, they were put in place on the evening of Friday, June 22, ready for the Blessing of the Wells the following day.